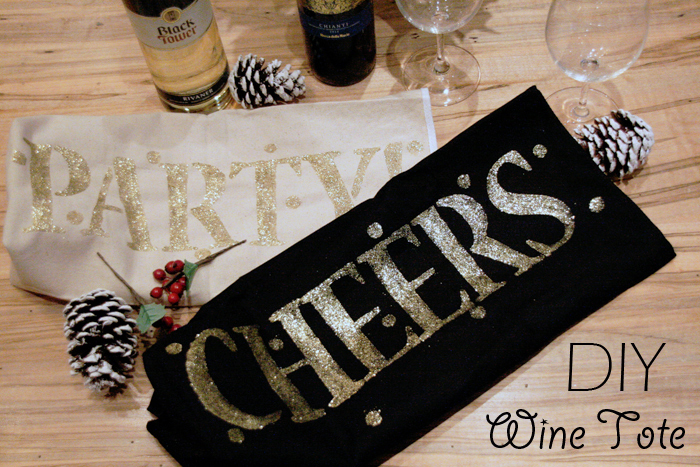 Wine and alcohol is among the list of popular host/hostess gift. 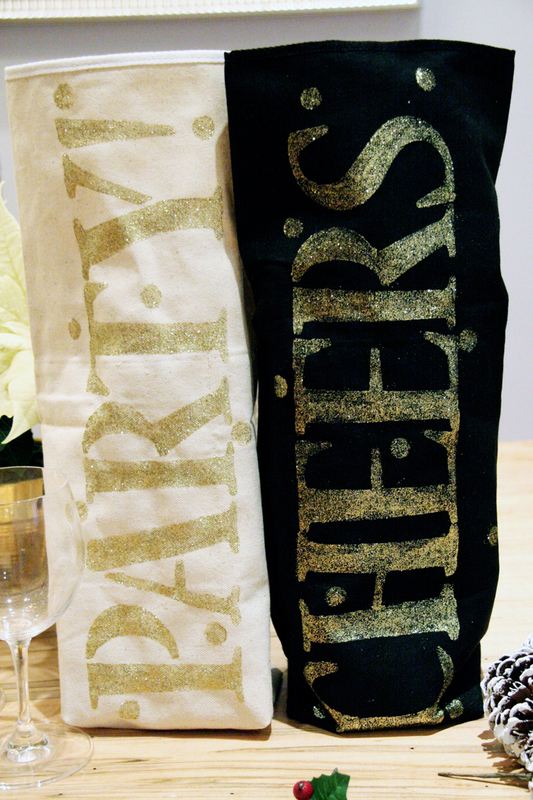 It’s also one of those gifts that doesn’t seem to be as ‘thoughtful’ as some others but by customizable a handmade wine tote – it can be that much more special! This DIY is super easy to do, with just a few materials, you can head on over to the next party with something classy and stylish in hand for the host/hostess! Head on over to Girls of T.O. to get the step by step tutorial and photos! How often to you bring a bottle of wine or bubbly to a holiday party? Is this something you would consider trying? Thanks so much for following along with my Holiday DIY Series with Girls of T.O.! Be sure to check out my last two projects – DIY Christmas Burlap Bunting Garland and DIY Glitter Gold Sneakers.